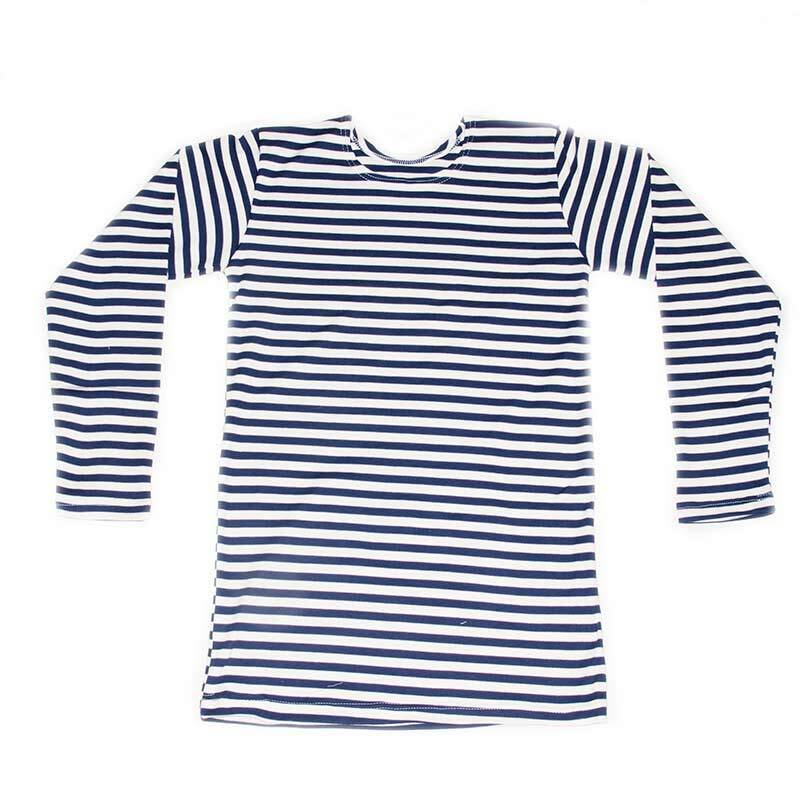 Authentic Russian Navy Shirt is an authentic Russian military shirt for NAVY troops. 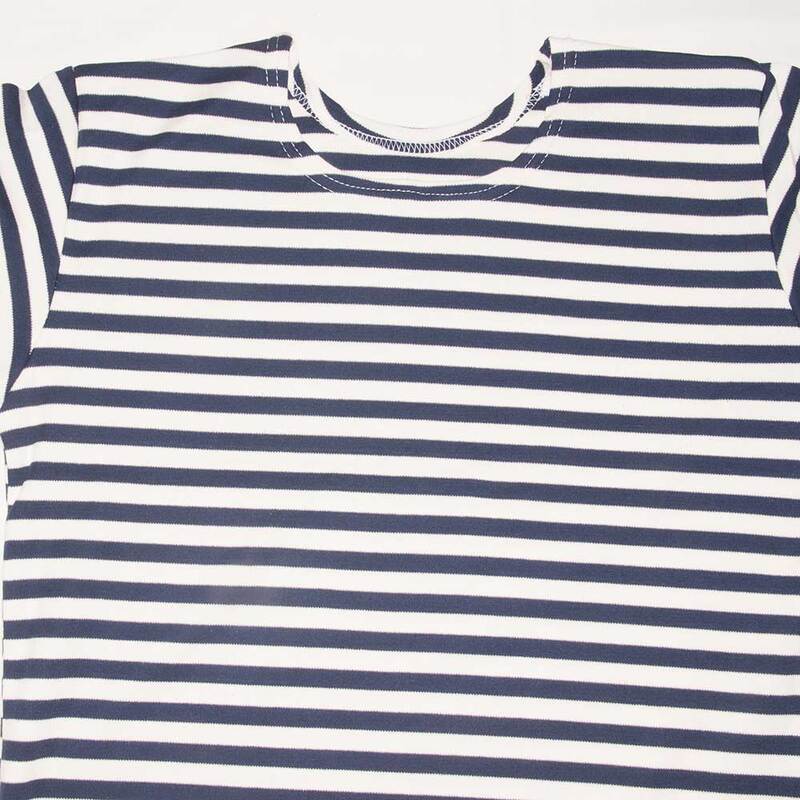 Literally it mean "body shirt" and indeed it is very comfortable as it is made of very soft 100% natural cotton fabric with density 210 g/sq.m. 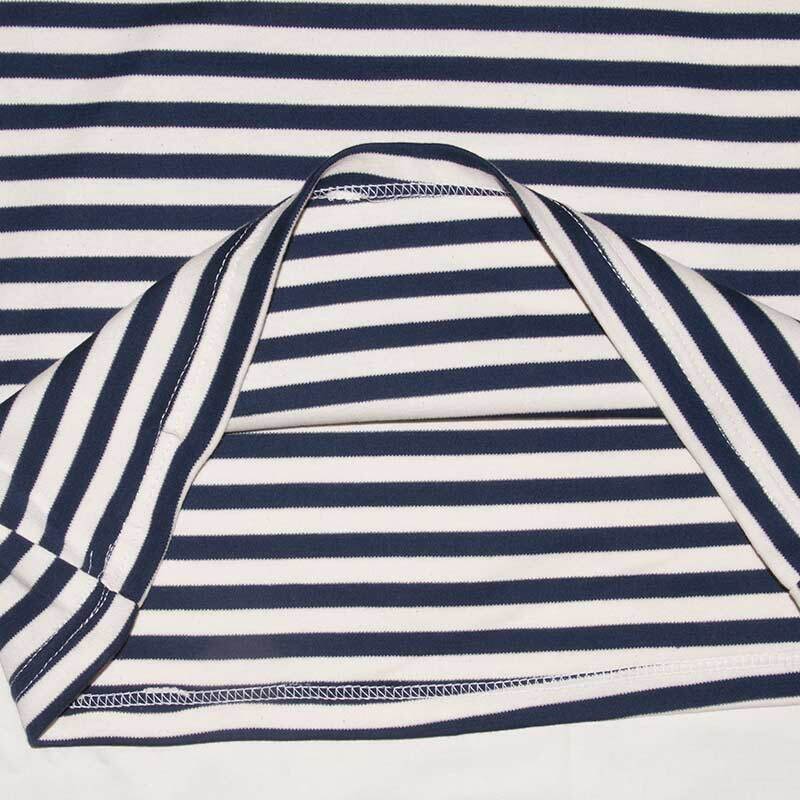 This telnyashka is ORIGINAL, it is made starting from weaving the fabric till sewing the ready product in accordance with military state standards (GOST 25904-83). 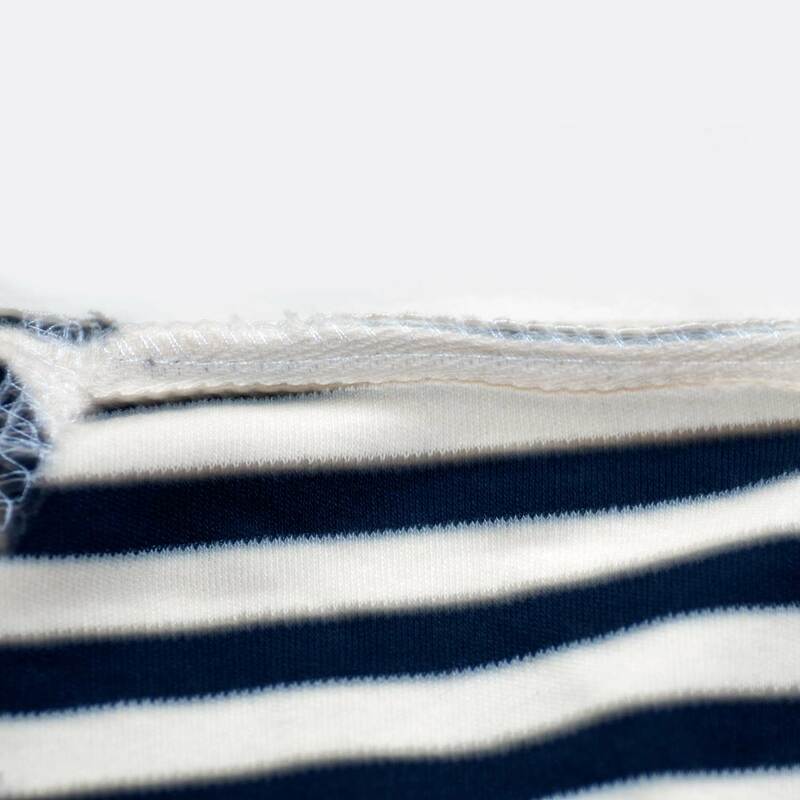 The telnyashka is suitable for everyday wearing, it can be used for wearing alone in warm time and to wear as underwear in cold time. I bought it for my boyfriend for his birthday, he is very happy with it. 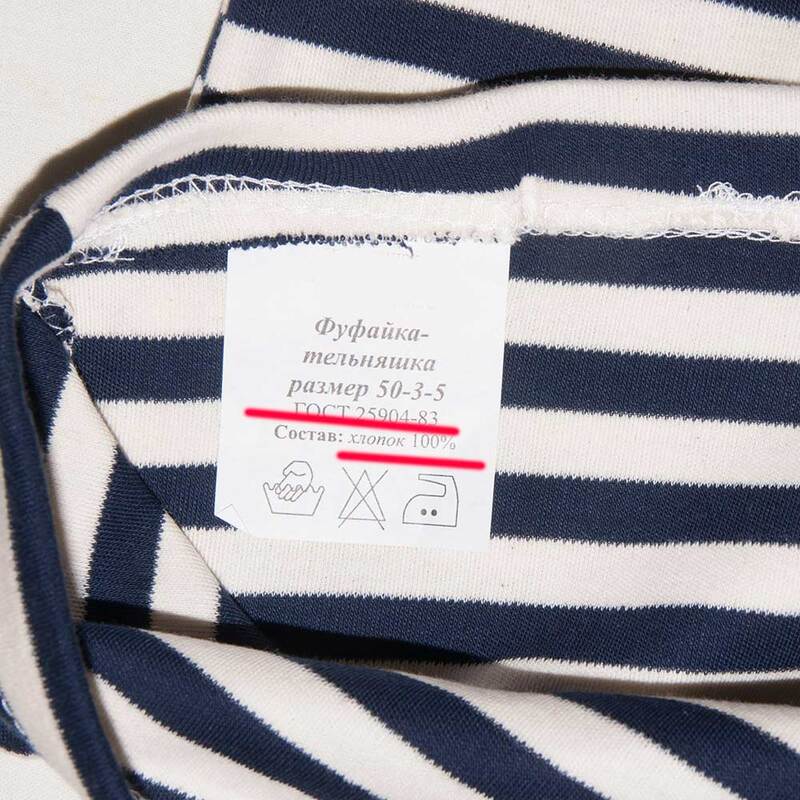 I got some such shirt from different vendors, quality was not as I expected but this telnyashka turned out to be the best - I served in Soviet navy and know what it should be. Thank you, guys!